Pleurisy. Cedars-Sinai website. Available at: http://www.cedars-sinai.edu/Patients/Health-Conditions/Pleurisy.aspx. Accessed August 29, 2018. 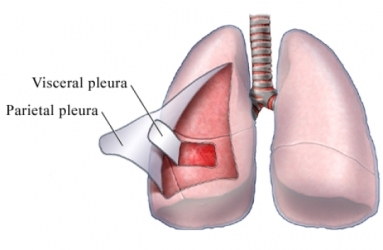 Pleural effusion. Merck Manual Professional Version website. Available at: http://www.merckmanuals.com/professional/pulmonary-disorders/mediastinal-and-pleural-disorders/pleural-effusion. Updated October 2017. Accessed August 29, 2018.